JACKSONVILLE, Fla.–(BUSINESS WIRE)–Eagle LNG Partners (“Eagle LNG”) meets a major milestone for their Jacksonville Export Project. The United States Federal Energy Regulatory Commission (FERC) granted the company their draft environmental impact statement (DEIS). 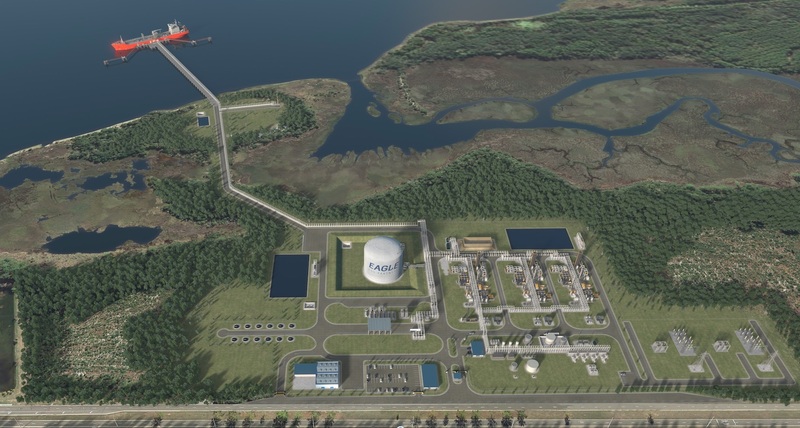 The draft EIS puts Eagle LNG on a clear path to FID on the Jacksonville Export Project and continues Eagle LNG’s success in using small-scale LNG to supply bunkering to the marine industry and to provide small scale LNG cargoes to markets in the Caribbean. 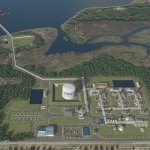 Eagle LNG is a wholly owned subsidiary of Ferus Natural Gas Fuels LP and a privately held and operated portfolio company of The Energy & Minerals Group. Eagle LNG powers the world with affordable, efficient and clean-burning energy It develops small-scale LNG solutions providing fuel for marine industries as well as power generation in the Caribbean and Central America. Eagle LNG is based in Houston, Texas. For additional information, please visit www.eaglelng.com. EMG is the management company for a series of specialized private equity funds. EMG focuses on investing across various facets of the global natural resource industry including the upstream and midstream segments of the energy complex. EMG has approximately $16 billion of regulatory assets under management and approximately $11 billion in commitments have been allocated across the energy sector since inception. For additional information, please visit emgtx.com.